Avadon 3, Announcing New Games, and Facing Your Inadequacy. We have just announced our newest game, Avadon 3: The Warborn! It should be out in September, unless things go wrong. Completing this series will bring an end to five frenzied years of my professional life. I wanted to talk about the game a little, for people who don't know about us, people who do, and people who are interesting in making games in general. I'll try not to be boring. Hi! We're Spiderweb Software. 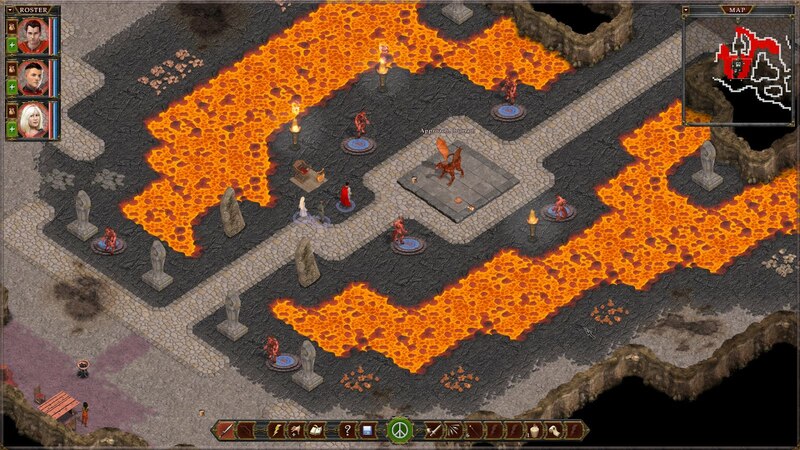 Since 1994, we have created indie, retro, turn-based, huge, epic fantasy role-playing games. We specialize in games with intricate stories that give you a lot of interesting choices. We also like making fun game systems and varied combat with lots of unusual encounters and tactical options. If that sounds cool, just stop reading this. Go here or here and download a big, free demo. We have always had the biggest demos in the business. If you like what you try, all of our stuff is on Steam. We asked for a lot of fan feedback before we started Avadon 3, and we put a lot of it into effect. There are a ton of changes and improvements in this new game. Many long-overdue interface improvements. A lot of rebalancing and new abilities. Fewer trash fights and greater encounter variety. I managed to generate some pretty decent screenshots this time around. I'm more interested in talking about the process. Whenever I'm not sure what to do with a game, I always make the choice I would prefer if I was a player. It's a compass that has almost never steered me wrong. When I decided to write Avadon, I'd just played Dragon Age: Origins, which is still, for my money, one of the finest RRPGs every made. It made me want to write a similar game: An epic story, full of intrigue, dark fantasy, and touch choices, set in a huge and complex world. I wanted the battles to have their own flavor, with lots of different tactical options and unexpected events, and in which movement and positioning are really important. I think I succeeded. Kind of. I will say that I enjoy playing Avadon games more than I enjoy playing any of my other games. A lot of my fans don't care for Avadon as much, but that's ok. We write a lot of different sorts of RPGs. A painful process, but a helpful one. When you fail to do what you wanted to do, well, failure can be very educational. You just need to look hard and honest at you failures and see what you can do to correct them. So, some things I'm unhappy with about the Avadon series. When I was designing Avadon, I was very ambitious. Lynaeus, the continent on which the series takes place, has 5 friendly nations and six hostile nations, each of which has its own politics, history, and so on. I wanted to make a whole world. In the end, however, I was just one designer. There are so many factions, wings of government, conflicts, controversies ... Too much for me to keep track of, too much to fully develop. I wrote so much lore I could never find a place to fit into the game. There were so many locations I just wasn't able to give enough time to. My eyes were bigger than my stomach on this one. Also, i didn't put as much polish in these games as I should. Avadon 3 will have a lot of careful rebalancing and useful interface improvements. However, these changes should have been in Avadon 2. Honestly, a lot of these things should have been in Avadon 1 so I didn't have to fix them in the first place. I have a good excuse for some of this. I'm only one person, and I'm getting older and slower. Still, a problem is a problem, and, if I'm asking people for money, I'm still responsible for flaws. Finally, I've stuck with this particular engine, graphics style, and world style for too long. After I remaster Avernum 3 (our most popular game over the years), I'm going to do something way different. It's well past time. However, the Avadon games have also reached the limits of what I am capable of holding in my single brain. They are the limit for how complex I game I can make without going mad. There's just too many characters, story threads, and so on. After a few months of keeping everything balanced and in my head and making sense, it gets exhausting. One of the great pleasures in my job is finishing a game and being able to forget everything I've had to hold in my mind, ready for fast access. It's like putting down a heavy weight. I'm really looking forward to letting Avadon drift away. It's been like having to have a second family, only in my head. A weird, dysfunctional, non-existant family. I want it to fade away and leave a blank canvas, that I can fill with other fun stuff. And, in Avadon's sprawling messiness, I think we made something really neat. Among all of the treasure hunting and epic battles, this is a story about running a fading Empire. You have borders to protect and unlimited power to do so. Will you be cruel or merciful? Will you be dutiful to your country, or will you focus on power for yourself? 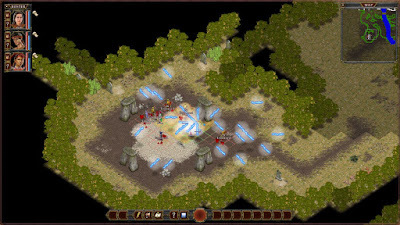 Avadon 3 is full of choices, and your decisions will lead to a multitude of possible outcomes. No cop-out twist endings. It won't all have been a dream. We will make sure that the series caps off with a satisfying ending. We'll be starting an all-new series soon. When we do, it will still be a big, complex game, but it will be big and complex in a different way. At the very least, there will be fewer than 11 countries for you to keep track of. And that's all for now. Hope you like the screenshots and the trailer. If you're new here and like RPGs, we have 20 years of back catalog to tempt you. Time to go write a few thousand more words of dialogue!